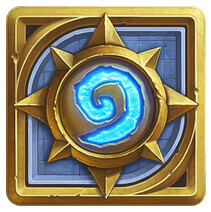 Blizzard's free-to-play CCG (collectible card game), Hearthstone: Heroes of Warcraft, has finally made the jump from iOS straight to Android. It landed on Apple's platform back in April, where it's available for the iPad, but this mobile exclusivity is now over - the trading card game is now available in certain regions as a part of a limited soft-launch, namely Australia, New Zealand, and Canada. Fortunately, its global availability is, well, in the cards for the upcoming days, when Blizzard will use the ace up its sleeve and unleash its famed mobile game to the vast hordes of gamers with Android tablets. This latest Android CCG comes with the latest expansion, Goblins vs Gnomes, which has been available on the rest of the supported platforms for some time now. As usual, this one brings heaps of additional in-game content. All of this is free to download and play, yet you might want to consider an in-app purchase or two if you want to at the top of the rankings! In the meantime, those impatient Android users who don't own a tablet have a reason or two to cheer up as well - Hearthstone will eventually make it to Android smartphones in the foreseeable future, as Blizzard is poised to make it available for a wider range of devices. However, there is no exact word on when that will happen, but we're dealing with Blizzard, after all - the company has always been reluctant to provide exact release dates. Been waiting for years, finally its out. Yep. From Canada. Still not compatible. You're right. I swear I didn't notice that before. Either they updated the title, or I'm going blind. Sorry about that.